Whether or not Mitt Romney makes it to the White House, his candidacy signals that Mormons have arrived in American political life. Just as President Obama’s nomination and election marked a sea change in the country’s tortured racial history, so Romney’s nomination has changed religious boundaries that have persisted for more than 160 years. No religious group has been more persecuted by the U.S. government, or more derided by other faiths present in the country, than the Church of Jesus Christ of Latter-day Saints (or the LDS Church, as many Mormons refer to it). Indeed, it was to seek a secure home to practice their heterodox beliefs, including polygamy, that Mormons moved from upstate New York to Ohio, Missouri, Illinois, and finally the Salt Lake Valley in present-day Utah. Led by the irrepressible organizer Brigham Young, the Mormons did more than settle open land. They created a unique blend of communalism and capitalism, industriousness and religious faith, that withstood threats from Native Americans and, later, from the U.S. Army. Today, some religious fundamentalists continue to rail against Mormons, while coastal sophisticates scoff at their earnest approach to life, religion, and family. Yet the methodical Mormon way, which stresses education, ambition, and charitable giving, has succeeded in ways equaled by few religious groups. Mormons enjoy levels of education and wealth higher than the national average, for example. Some 54 percent of LDS men and 44 percent of women have secured postsecondary education; the numbers for the general American population are 37 percent and 28 percent, respectively. Mormons also enjoy the nation’s highest rate of charitable giving. And while many religious groups in the United States—including the Catholic and mainline Protestant churches, along with most non-Orthodox Jewish denominations—are struggling with declining numbers, the LDS Church is one of the nation’s fastest-growing. Its American membership jumped from 4 million to 6 million between 2000 and 2010. Its global growth over the same period was 45.5 percent, and today, most of its total membership of 14 million resides outside North America. The fastest growth is occurring in Brazil, the South Pacific, and Central America. The best advertisement for Mormonism, though, is the kind of society that it seems able to create. Utah, 60 percent of whose population belongs to the LDS Church, has enjoyed one of the fastest job-growth rates in the nation over the past decade, taking a strong lead in a host of industries, from energy and software to composite manufacturing. It has also seen the highest population growth rate of any state, aside from neighboring Arizona and Nevada—and unlike those “bubble” states, Utah survived the housing bust in strong shape. The Beehive State’s success is less about low taxes—Utah is not a tax haven like Texas, Nevada, or Florida—than about support for wealth-creating industry. Utahans have a great interest in promoting business growth. Though they revere their state’s handsome landscape, they suffer little from the antigrowth “progressivism” common to the East and West Coasts. Whether backing the creation of a vast mixed-used project in downtown Salt Lake City or encouraging new building for the area’s swelling population, the LDS Church tends to be pro-development. That applies to residences as well. Unlike such rival states as California, Utah continues to build affordable single-family houses. Many newly minted housing tracts run along the corridor from Ogden in the north to Provo. A handful of tall condo towers dot downtown Salt Lake City as well. A median-price home in the Salt Lake City region, according to an affordability survey by Demographia, costs roughly three times the median family income—much less than in Los Angeles, New York, and the San Francisco Bay area. Not surprisingly, the New York metropolitan area and California have become the largest net senders of migrants to the Salt Lake City region. Such cost advantages, plus the presence of an educated population, appeal to global companies. Goldman Sachs, for example, has set up its second-largest American operation in downtown Salt Lake City. “We consider Salt Lake a high-leverage location,” says Goldman managing director David Lang. “There’s a huge cost differential, and you have a huge, talent-rich environment.” Drive through Provo, and you’ll see office buildings, often just finished, for some of Silicon Valley’s signature companies, including Intel, Adobe, Twitter, eBay, and Fairchild Semiconductor. Over the past decade, the number of Salt Lake–area employees in STEM jobs (those relating to science, technology, engineering, or math) has increased 17.5 percent. The number of such jobs actually declined in Silicon Valley and stagnated in New York, Boston, and Los Angeles. Mormons aren’t the wide-eyed, naive people of stereotype; they’re increasingly cosmopolitan and sophisticated. 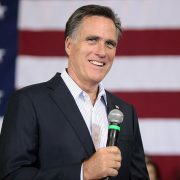 Indeed, Romney may represent only a first move toward the apex of influence in America. We may well hear from former Utah governor Jon Huntsman, a candidate for the Republican presidential nomination this year, or from such engaging newcomers as congressional candidate Mia Love, an exemplar of the new LDS Church (she is of Haitian descent; the church banned black men from its priesthood until the late 1970s). 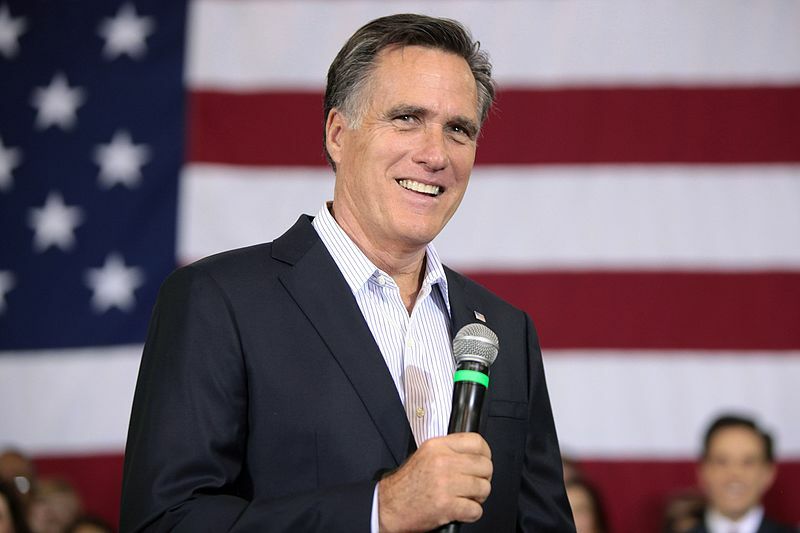 Whether he wins or loses, Romney’s candidacy represents the beginning of the Mormon moment, not its culmination.